"Three months ago, you lost the drive containing the names of every agent embedded in terrorists organizations across the globe." 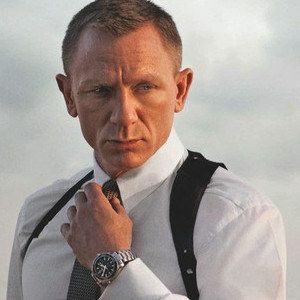 And so begins the latest James Bond adventure Skyfall, which finds 007 (Daniel Craig) proving his loyalty to M (Judi Dench) in all kinds of life threatening ways. Sony Pictures and MGM have released the third domestic trailer, which offers up some glorious, as-yet-unseen footage that will surely get you into that theater seat, be you a fan of James Bond or not. We here the train jumping motorcycle sequence is worth the price of admission alone. But don't take our word for it, watch and learn what it takes to be an Agent in Her Magesty's Secret Service!